‘What we have is an absolute whopper of a post hole. It’s getting on for 1.5 metres deep and originally contained a post approaching 0.6 metres in diameter. The post it contained is likely originally to have stood something in the region of 6 metres or more tall. It had been packed in place with large sarsen stones (some of which were as much as 0,5 metres wide). Then chalk had been rammed in between the gaps and water added (possibly deliberately), creating a concrete hard mixture that would have ensured the giant timber was going nowhere. We’ve had a few pieces of charcoal from the interface between post and fill which we’ll be radio-carbon dating in due course. And tantalisingly it produced one incredibly small piece of pottery that from its fabric may just be Grooved Ware (we need to get Ros to cast her expert eyes over it). 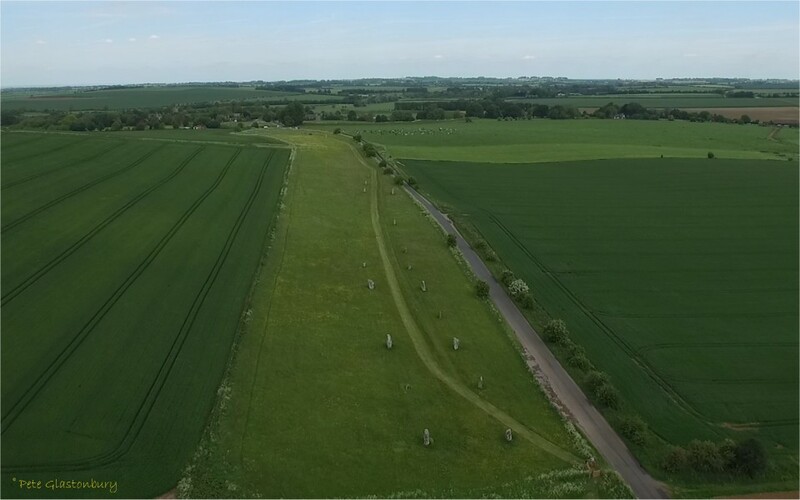 The post hole is the second found on West Kennet Avenue, and one other post hole has previously been recorded inside the Avebury bank at the eastern entrance. Below: The post hole being excavated. 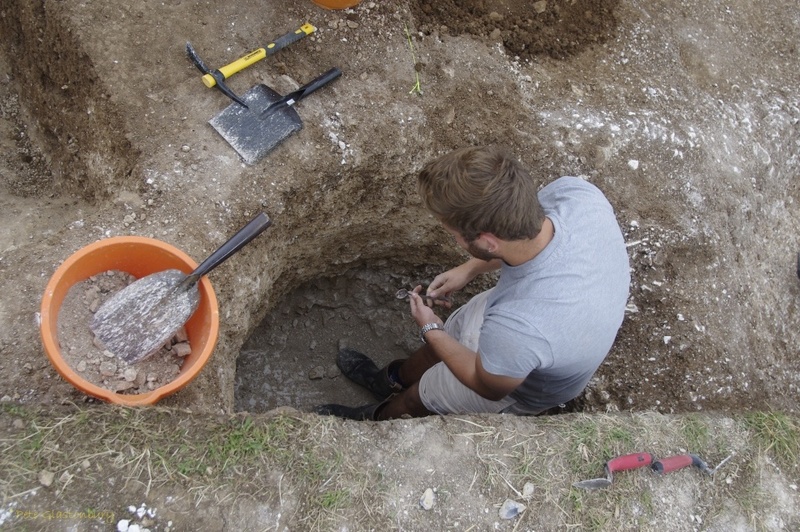 Below: Sarsen packing stones from the post hole. 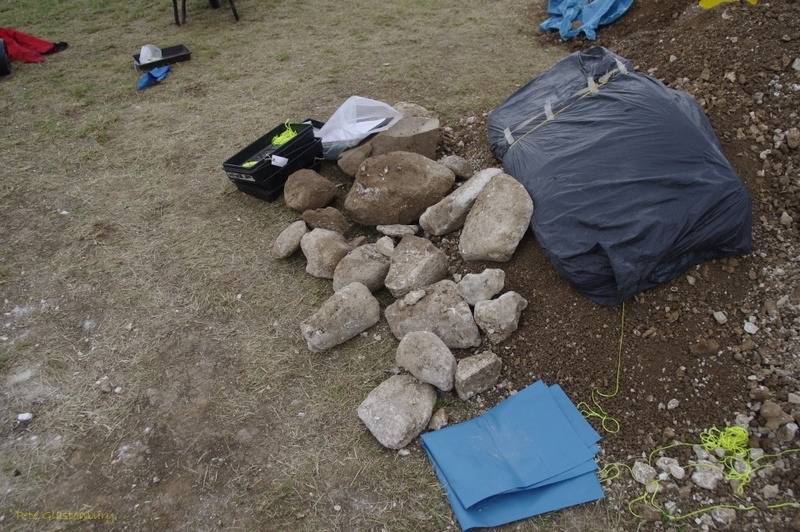 Sarsen packing stones West Kennet Avenue post hole . 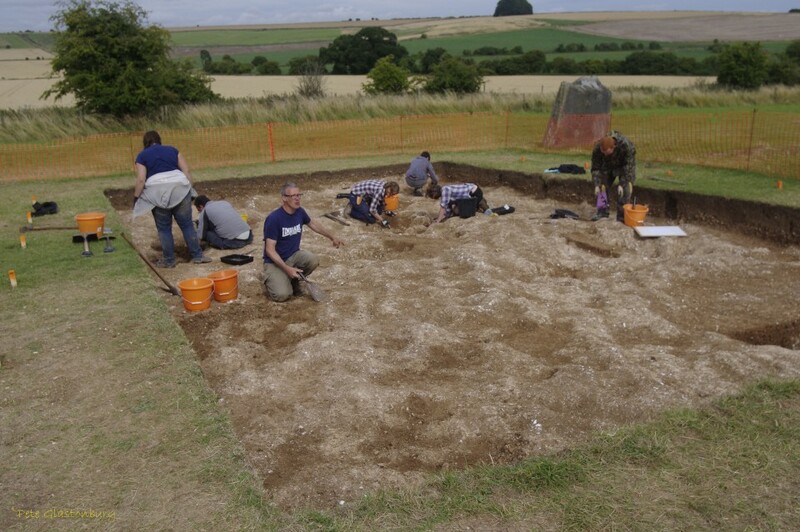 Below: Mark Gillings is pointing here to a pit dug 800 years before the West Kennet Avenue was started, where a cache of arrowheads were found. He speculated that it may have been a quiver of arrows placed in the pit. 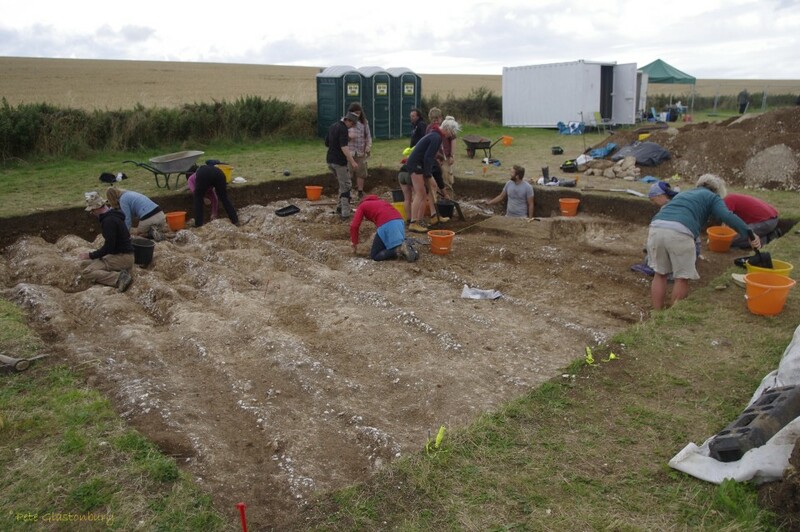 Below: Excavations reveal periglacial stipes in Trench 2. More here. Below: Edward Kite’s annotation of ‘Abury, in its original state, as supposed by Stukeley’. 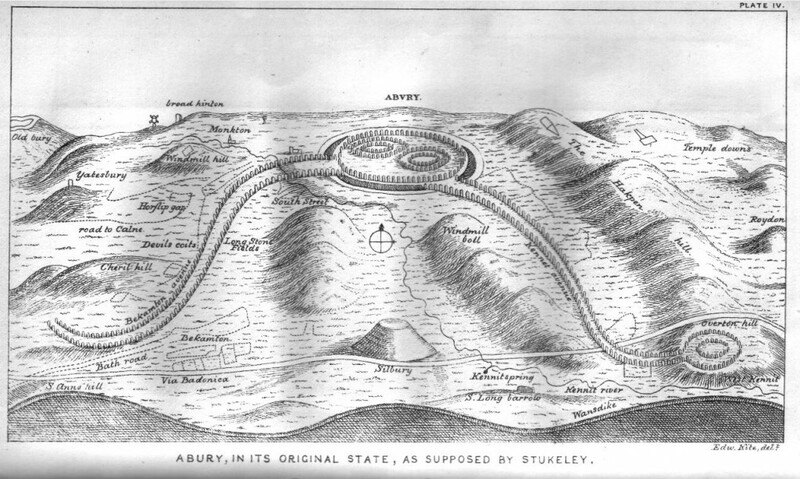 ‘Abury a Temple of the British Druids’ by William Stukeley here. More on West Kennet Avenue Avebury here. Thank you Pete Glastonbury for photographs and additional information.